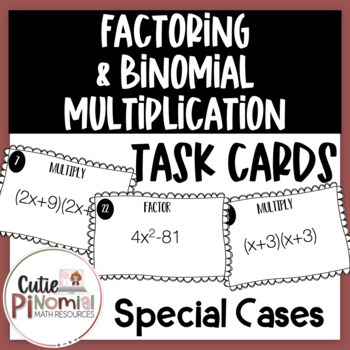 This bundle includes all three of my factoring and binomial multiplication task card sets. You will receive a total of 72 task cards that can be used in a variety of ways! Perfect for Algebra I. Print double sided so students can just flip over the card to check their answer! Print selected pages one sided to practice binomial multiplication. 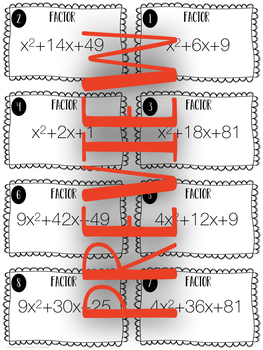 Print selected pages one sided to practice factoring. An unnumbered version of the 24 cards is included.